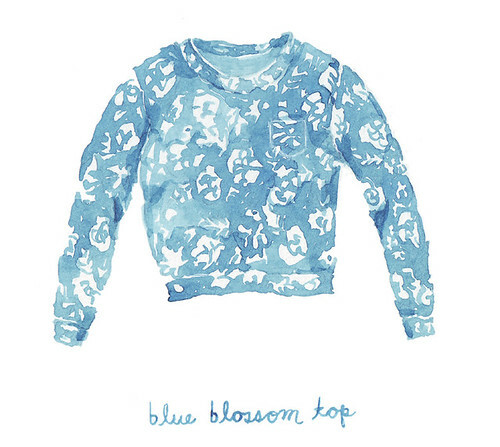 here's a little watercolor sketch of a top i made for myself over the weekend. i'll share some real photos soon! oh, and thanks to rachael for including my grey gathers blouse in her sewing trends post over at sew mama sew! love your illustration :-) what a good idea.